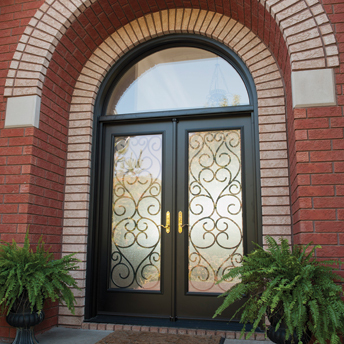 Customize your entranceway to create your own bold statement. Classic, modern, old-world or traditional. Choose from a host of beautifully crafted clear and decorative glass and caming options or elegant wrought iron to fit transoms and side lites in whatever size or shape you can imagine. Single and double door configurations with your choice of side lite and transom combinations, designed to fit your lifestyle. Talk to one of our reps and we can help you bring your dream to reality.